Busy Bees in Newcastle Upon Tyne - Preschool PE Lessons Start This Week! Preschool PE Lessons Start This Week! Our fit and healthy Preschoolers at Busy Bees Newcastle hopped, skipped and jumped enthusiastically into their brand new PE class this week! 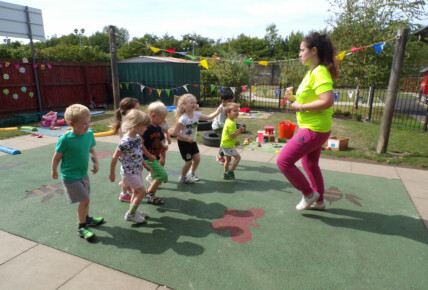 Kat, Preschool Room Leader ran the class which is running each Wednesday afternoon for 4 weeks with a brilliant session today with warm ups and stretches, balancing, tyre jumping and much more! Listening skills are really important along with following instructions carefully! Keeping active and moving our bodies is important and a life long skill that we want to instill! 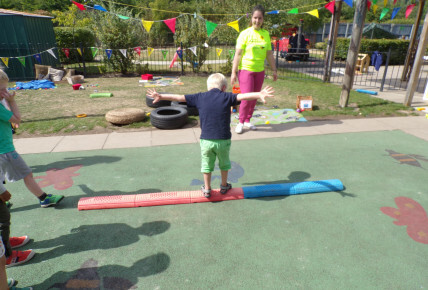 The children really enjoyed the challenge and it will be a great opportunity for them to get used to PE sessions which will start in their reception class at BIG school!